It's time to hitch up this Freedom Express Pilot travel trailer to your favorite vehicle and hit the road. 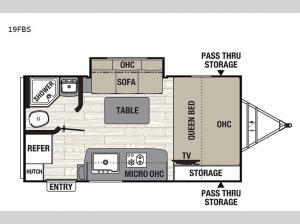 This model offers all of the conveniences you'll need to enjoy time away in the great outdoors. The single slide houses a sofa that provides a dining area and extra sleeping space, and the cook in the family can make dinner each night with the microwave or on the two-burner cooktop which also includes a butcher block cover. 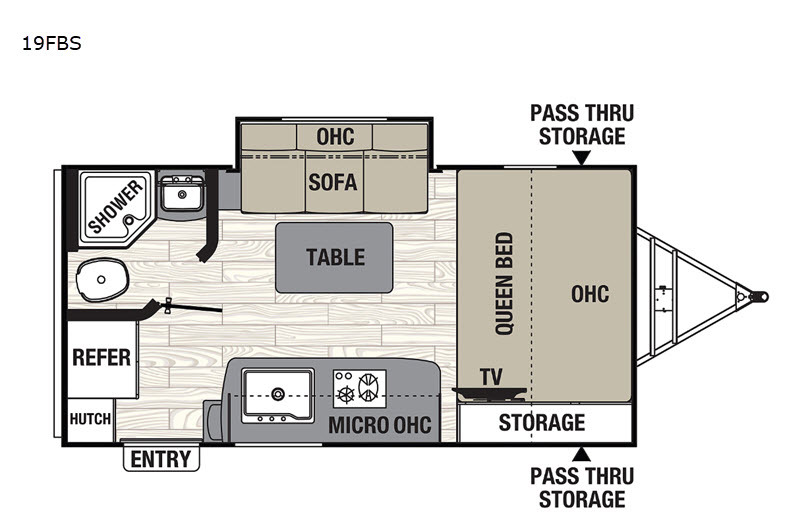 You can even watch the LED TV from anywhere in the trailer, and having a full bathroom allows you to camp off grid without worrying about finding public rest stops. Having the LED light strip in the exterior pass-through storage makes loading or unloading your outdoor camping gear much easier to do once the sun has set. With any Coachmen Freedom Express Pilot travel trailer, you will find that the Stable-Ryd® suspension offers improved weight distribution and optimum performance by reducing the sway caused by crosswinds, and the aerodynamic front profile and enclosed underbelly will easily cut through the air and reduce turbulence. Extending your gathering space will be simple to do with the outdoor electric awning with LED lights, and the exterior shower will allow you to rinse off any dirt that you may have accumulated while partying before heading back inside. Each model also provides a resin indoor/outdoor table for dining inside or outside, and the USB ports that are scattered throughout will keep your electronics charged the whole time.